You can listen to the full reading by all seven poets here. Poets and short fiction writers from the UCC MA Creative Writing programmes will be presented by Leanne O’Sullivan and will read from their new work. Readers include Alison Driscoll, Allie Vugrincic, Jasmine Throckmorton, Breda Joyce, Sally Yazwinski, John Rodgers and Nora Kirkham. Alison Driscoll is twenty one years old. She has completed a BA English in UCC , during which time she sat as the editor of Quarryman and Chairperson of the English Society. Alison is a Cork native and began writing poetry at sixteen when she took part in the Unfinished Book of Poetry Project. Allie Vugrincic was born in the small town of Warren, Ohio, USA. She holds a bachelor’s degree in cinema from Denison University in Granville, Ohio, where she has been published in the University’s literary magazine Exile in 2016 and 2017. Allie is currently completing a Master’s in Creative Writing at University College Cork. Jasmine Throckmorton is an American student at UCC. She pursued poetry at the University of Chicago, and taught literature for a year in her hometown of Fort Collins, Colorado before moving to Cork. She loves to ride horses, read on rainy days, and go for nature walks. She is a recipient of a Fulbright fellowship. Breda Joyce grew up in Headford, Co. Galway and now lives near Knocklofty, Clonmel. Breda’s poems Picking Blackcurrants, Hiatus and Dirty Linen have been elected for publication in the 2017 edition of The Galway Review, while the poems Moments and Autumn Opera feature in its 2015 anthology. Mute was one of ten poems shortlisted for The 2016 Kilkenny Broadsheet while The Void was highly commended in Poetry Ireland’s Poetry Project Award, November 2013. Sally Yazwinski was born and raised on her family’s dairy farm in Massachusetts. She taught Middle School alternative education for six years before pursuing writing. She’s earned her M.Ed in Education, her M.A In Literature, and an MFA in fiction writing. She was named one of Glimmertrain’s Top 25 New Writers. She won the Bread Loaf School of English’s Prize for Best Fiction. John Rodgers hails from Newry. After many years spent digging for gold on the streets of London he ran away from home to write. God help his wit. Nora Kirkham is an aspiring writer and poet from Maine. She holds a Bachelor’s in History and English from Gordon College. Raised on four continents, Nora is fascinated by the relationship between landscape and memory. Her other interests include Medieval art, monasticism and sustainable living. 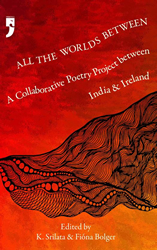 All the Worlds Between is a collaborative poetry project bringing together poets from India, Ireland and in between. Their writing partnerships resulted in four strands — poems as conversations, poems at angles to one another, poems which speak out of turn to other poems in the group and, not surprisingly, stories of friendship. Fióna Bolger lives between Ireland and India. Her work has appeared in Southword, The Brown Critique, Poetry Bus, The Chattahoochee Review and others. With K. Srilata, she recently edited All the Worlds Between (Yoda Press, Delhi, 2017), a poetry project between Ireland and India. She is a co-ordinator of Dublin Writers’ Forum and a member of the creative team of Outlandish Theatre Platform. She is currently working on her PhD dissertation, ‘A Search for Poems in the Cracks Between Borders’. Anne Tannam has published two poetry collections: This Life (WordOnTheStreet 2011) and, Tides Shifting Across My Sitting Room Floor (Salmon Poetry 2017). Her poems have appeared in literary journals & magazines including The Stinging Fly, Poetry Ireland Review, The Moth, The Poetry Bus, Crannóg, Orbis, Skylight47, Burning Bush 2, Irish Literary Review, Bare Hands Poetry & Boyne Berries. Her work has also been featured on Arena and in The Irish Times. A spoken word artist, she’s performed at festivals and events including Lingo, Electric Picnic, Bloom and Cúirt. Anne is co-founder of the Dublin Writers’ Forum and in October 2016 was writer-in-residence at Chennai Mathematical Institute in India. Nita Mishra has recently submitted her PhD on Rights-Based Approaches to Development at the Department of Food Business and Development, University College Cork (UCC). Currently, a tutor at UCC, Nita is an occasional lecturer on international development, and women’s studies, across Irish, and Indian universities. Nita’s poetry, discussed as Irish feminist futures’ reveals dilemmas of seeing the migrant woman’s body as the site of neo-colonial designs, and a longing for the spiritual. Poetry has been published in the Studies in Arts and Humanities, Immigrant Council Report on Migrants in Language and Migration in Ireland, upcoming issue of Hypatia [33(3), Wiley-Blackwell], and others. Runner-up in The Interpreter’s House Poetry Competition in 2017, Maurice Devitt was the winner of the Trocaire/Poetry Ireland Competition in 2015 and has been placed or shortlisted in many competitions including the Patrick Kavanagh Award, Listowel Collection Competition, Over the Edge New Writer Competition and Cuirt New Writing Award. He is also the curator of the Irish Centre for Poetry Studies site, a founder member of the Hibernian Writers’ Group and has a debut collection upcoming from Doire Press in 2018. Singer/songwriter/poet BeRn, calls her stuff ‘Frock’; an eloquent mix of folk, punk angst, rock ‘n’ roll, feminism, ire, laughter and irrepressible spirit. Raw and uplifting, She takes to the stage with a fiery presence offering a heady mix of emotion and rebellion. She has shared stages with Martha Wainwright, Patti Smith, Shane Mc Gowan, Indigo Girls plus many more. Her new EP featuring Ronan Ó Snodaigh is in the pipeline. BeRn has recorded 3 albums and is forever working on her first book of poems. In 2016 BeRn toured her critically acclaimed show EASTROGEN RISING. You can listen to Joel’s reading here. Joel Deane is a poet, novelist, journalist and speechwriter. He has worked in Melbourne and San Francisco as a journalist, lectured widely on the use of public language, penned reviews and essays for Australian Book Review, and written speeches for Labor politicians such as Bill Shorten, Chris Bowen, Steve Bracks and John Brumby. Deane has published one non-fiction book, Catch and Kill: The Politics of Power (2015); two novels, The Norseman’s Song (2010) and Another (2004); three collections of poetry, Year of the Wasp (2016), Magisterium (2008) and Subterranean Radio Songs (2005); and a chapbook, £10 Poems (2008). His poetry features in the anthologies Thirty Australian Poets (2011), Best Australian Poems 2008, Best Australian Poems 2016 and Australian Poetry Anthology 2016. He won the 2018 Vincent Buckley Poetry Prize, was shortlisted for the 2016 Judith Wright Calanthe Award, a finalist for the 2015 Walkley Award and the 2009 Melbourne Prize for Literature, and shortlisted in the 2006 Anne Elder Award. Joel Deane lives in Melbourne with his wife and three children and works as a freelance writer. You can listen to Hazel’s reading here. Hazel Hogan is a poet from Dublin. She tackles wide-ranging societal issues in her work – from the housing crisis through to mental health. She was recently featured in Episode four of Myles O’Reilly and Donal Dineen This Ain’t No Disco. Her poem Grangegorman is on the recommended list to be studied as part of the Junior Certificate English curriculum 2017. Her poetry was submitted into the Irish Poetry Reading Archive as part of the UCD digital library. She was selected to take part in the Dublin City of Literature project, Dublin: A Year in Words curated by Stephen James Smith and Linda Devlin and supported by UNESCO. She has been featured on The Ray D’arcy Show on RTE Radio 1 and published by The Irish Times, RTE Culture and the Journal.ie. Hazel is a member of the spoken word and Graffiti collective OutStraight curated by Lewis Kenny. OutStraight is a concept-based show combining spoken word theater with visual art graffiti. They recently launched their first collection of poetry with Emmet Kirwan and Maser. Hazel has been performing for three years at various events such as Irish Literature Festival, Emmet Kirwan’s ‘Beats & Rhymes’ stage, and The Irish Times ‘Wonderlust’ stage at Body & Soul Festival, Lingo:A spoken word festival, NYF Dublin, MyNameIs Campaign, Knockanstockan, F Festival, St. Patrick Festival, First Fortnight Festival, the Edinburgh Fringe Festival, The Liberties Festival, Words in the Warehouse, LCQ, Under the Hammer, A-musing, The Monday Echo, PETTYCASH and Come Rhyme with Me. She was the co-founder and the currator of the variety night Words in the Warehouse that happened in the Grangegorman Squat. You can listen to Alice’s reading here. Alice Kinsella was born in Dublin and raised in Mayo. She was educated in Trinity College Dublin and NUI Galway. Her poetry has appeared at home and abroad, in publications such as A New Ulster, Banshee Lit, Boyne Berries, Headspace magazine, Hungry Hills Wild Atlantic Words Anthology, Icarus, Lagan Online, Live Encounters Magazine, Poethead, Poetry NI Holocaust Memorial Anthology, Skylight47, The Fem literary magazine, The Galway Review, The Irish Times, The Lonely Crowd, The Ofi Press, The Pickled Body, The Rochford Street Review, The Stony Thursday Book, and The Sunday Independent. Louis Mulcahy is a potter who writes poetry. He has been published in Poetry Ireland Review, The Stinging Fly, The Shop, Southword, Stony Thursday etc. and read on RTE1, Lyric Radio and Radio na Gaeltachta. He has three collections of Poetry one in Irish and two in English, all published by An Sagart Publications. His fourth collection is due from Doire Press in 2019. 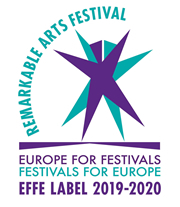 He was Founder and Director of the poetry festival An Fhéile Bheag Filíochta from 2007 to 2014. He has been Chairman of the Crafts Council of Ireland and of Samhlaíocht Chiarraí and served on the Government Task Force on Small Enterprises. He holds an Honorary Doctorate from the National University of Ireland. He is married to the tapestry artist Lisbeth Mulcahy. You can listen to Patrick’s reading here. Born in Limerick City in July 1958, Patrick Stack grew up in Duagh, County Kerry – George FitzMaurice country. He was educated at St. Michael’s College, Listowel, and at Trinity College, Dublin where he read French and English. He emigrated to Seville, Spain in 1988 where he taught English, and worked as a translator and interpreter. Moving back to Ireland in 1995 he settled in County Clare, where he works as a web developer, programmer, and adult education teacher. Patrick is an active member of the Poetry Collective which he joined in 2007, and runs the group’s website at www.poetrycollective.com. He has had poems published in Voicefree, Revival Poetry Journal, Crannóg, Brigid’s Fire, The Clare Champion, and Outburst!, was twice shortlisted in the Desmond O’Grady Poetry Competition, and read at Electric Picnic 2011. Patrick’s fascination with words and their sounds lead him to poetry and to other languages. He currently speaks five, writes poetry in three, and is learning Arabic and Hungarian. He has published two poetry collections – The Parting (CTLSP, 2013) and Rage (Revival Press, 2017) – and is working on his third. John Foggin lives in Ossett, West Yorkshire. His work has appeared in The North, The New Writer, Prole, and The interpreters house, among others, an in anthologies including The Forward Book of Poetry (2015, 2018). He publishes a poetry blog: the great fogginzo’s cobweb. His poems have won first prizes in The Plough Poetry (2013, 2014), the Camden/Lumen (2014), and McClellan (2015) competitions respectively. In 2016 he was a winner of the Poetry Business International Pamphlet Competition judged by Billy Collins. He has had published four pamphlets/chapbooks: Running out of Space (2014) Backtracks (2015), Larach (WardWood Publications) (2015) and Outlaws and fallen angels (Calder Valley Poetry) (2016), and two collections, Much Possessed (smith|doorstop) (2016), and Gap Year, co-authored with Andy Blackford (SPM Publications, 2017). John was the joint winner of the Indigo Dreams Pamphlet Competition (2017), and his winning entry Advice to a traveller will be published in 2018. Eleanor Cummins has published poetry in many journals and anthologies, including Dogs Singing (Salmon Poetry, 2011). She has written for the stage also; with her work performed in Prague and New York. In 2016 Commemorations her play about her Gran Aunt Nurse Margaret Kehoe was featured at events in her native Carlow. Currently she is based in Ireland and working on a first collection of poems. Eileen Sheehan is from Scartaglen, County Kerry. She lives in Killarney. Anthology publications include Best Loved Poems: Favourite Poems from the South of Ireland (editor Gabriel Fitzmaurice with photographs by John Reidy/ Curragh Press); The Deep Heart’s Core: Irish Poets Revisit a Touchstone Poem (editors Eugene O’Connell & Pat Boran/ Dedalus Press) and TEXT: A Transition Year English Reader (editor Niall MacMonagle/ The Celtic Press), The Watchful Heart: A New Generation of Irish Poets (editor Joan McBreen / Salmon Poetry). Her third collection, The Narrow Way of Souls, will be published in 2018 by Salmon Poetry. You can listen to Jessie’s reading here. Jessie Lendennie is the founder and editor of Salmon Poetry, established in 1981. She has commissioned and edited over 500 poetry collections since that time. Her own publications include Daughter and Other Poems, Walking Here, and several non-fiction books, including Poetry: Reading it, Writing It, Publishing It. Among other anthologies, she compiled and edited Salmon: A Journey in Poetry: 25 years of Salmon Poetry, and Even the Daybreak: 35 Years of Salmon Poetry. She is currently working on a memoir To Dance Beneath the Diamond Sky.